We can arrange your transfers from the airport to your villa either with one of our own fully legal and licensed drivers or via one of our trusted Transfer Partners after 4pm. If your group arrives before 4pm, you cannot book a transfer direct to your villa. You can only check in after 4pm. 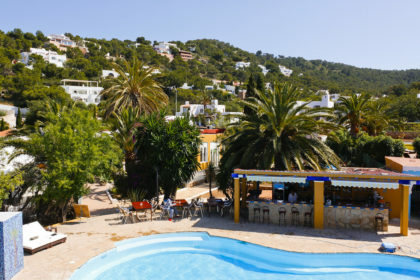 If you arrive before 4pm please take a taxi or transfer to our Cafe / office in Playa den Bossa where you can check in. You can also store your luggage, have a drink or eat some good British food. 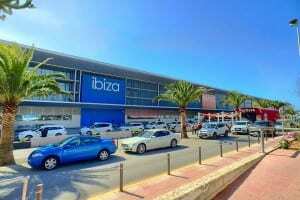 Alternatively email: transport@ibizavillas2000.com for a quote. 1) The company has the licence to carry the general public. 2) The company is fully insured. 4) The drivers have taken the necessary exams to drive the general public. 5) The drivers are police checked and do not have a criminal record. 6) All vehicles are tested and road worthy. You can get an immediate quote and arrange your transfer for your arrival or departure dates by clicking here which will take you to our Airport Transfer page. If you are arriving in advance of your 4pm check-in time, or are checking out at the end of your holiday, but not flying until later, you can bring your luggage to be stored at our cafe and Bagdrop in Playa den Bossa and then collect it later in time for your transfer to the airport, leaving you free to enjoy your last day on the island. You can even have a shower and print off your boarding pass before leaving and have a drink and relax in our chill-out lounge.